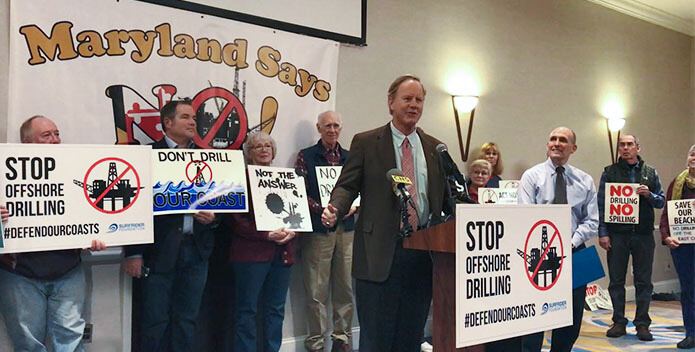 CBF President Will Baker addresses a crowd during a protest of offshore drilling. From Baltimore to the Potomac to Norfolk, CBF has taken an uncompromising stand against any expansion of the oil and gas industry in the Bay watershed for four decades. In particular, the dangers posed by offshore drilling are unacceptable. The ocean waters off the mouth of the Chesapeake are as much a part of the Bay system as all the freshwater rivers that feed it. Our treasured blue crab illustrates the connectivity between the Bay and the ocean—90 percent of the blue crab population lives in the waters off the mouth of the Chesapeake during their early life cycle. Crab larvae can float miles out into the ocean in the top centimeter of the water column (vulnerable to even the smallest oil spill) after they are spawned at the mouth of the Bay. When it comes to offshore oil drilling, spills happen. On average, spills from platforms, pipelines, tankers, and coastal facilities release 157,000 barrels of oil every year. Normal operations also release pollution into the air. Exploration and drilling at the platform, transportation via tankers, and refining on land all can release volatile organic compounds, greenhouse gases, and other air pollutants. release of considerable amounts of greenhouse gases. While all the Bay's great tributaries are an integral part of the Chesapeake system, so too are the offshore ocean waters, which account for more inflow to the Bay than all its rivers combined. 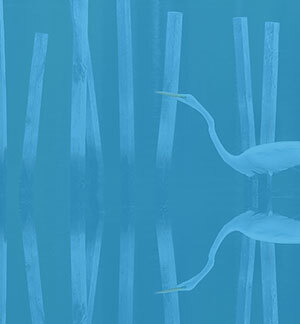 The Bay is on a path toward recovery as a result of the Chesapeake Clean Water Blueprint. Now is not the time to gamble our renewable aquatic resources for a single non-renewable petroleum source. It's far more prudent to meet our energy needs by pursuing energy efficiency and conservation now, and developing wind, solar, and other renewable sources for the future. 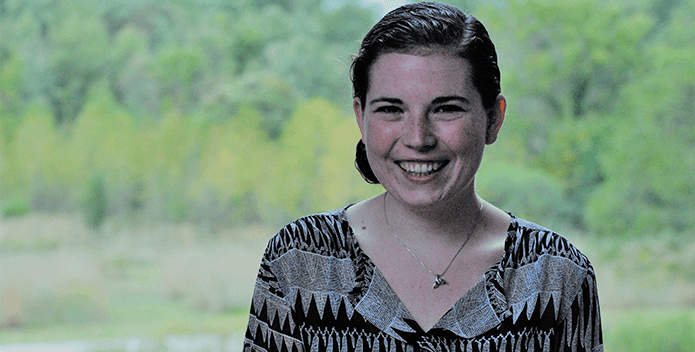 In this episode, CBF President Will Baker and CBF Litigation Fellow Brittany Wright discuss the dangers of offshore drilling and the current administration's plan to put the Chesapeake Bay at risk.